2. Click + and select New App. 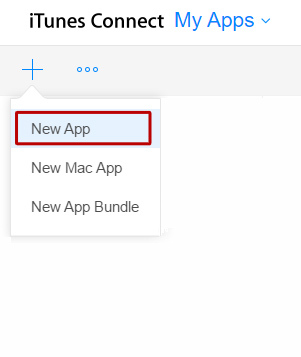 Note: The bundle ID is the unique identifier you have used to create your app build. 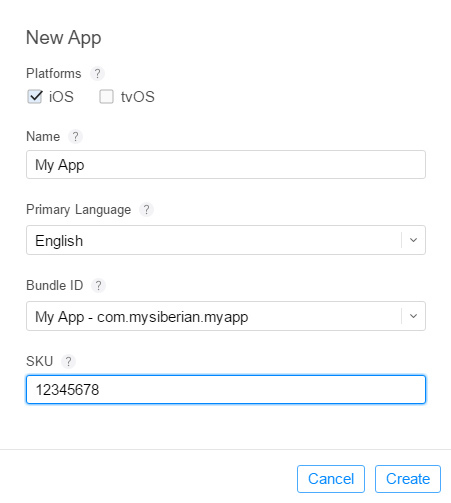 The SKU Number is a unique ID for your app, it will not be seen by the users. 4. In App Information, select the category of your app, you can also select a secondary category (optional). Note: Privacy policies are required for apps that are Made for Kids or offer automatically renewable In-App Purchases or free subscriptions. They are also required for apps with account registration, apps that access a user’s existing account, or as otherwise required by law. Privacy policies are recommended for apps that collect user- or device-related data. 6. Click the Pricing and Availability tab. 7. In Price Schedule, select the Price of your app. 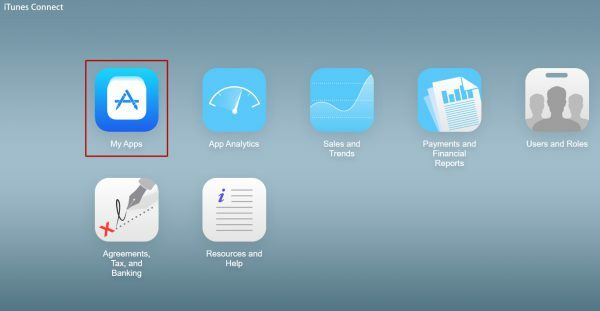 This determines the App Store price and your proceeds. If your app is free, choose Free. 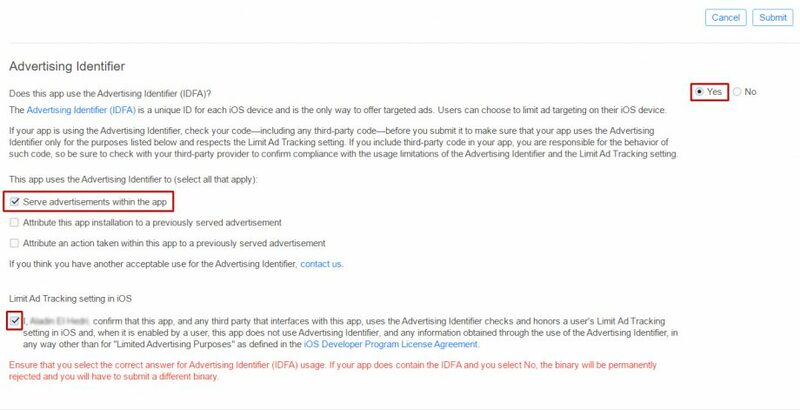 If you want to sell your app, you must have a Paid Application Agreement. 8. 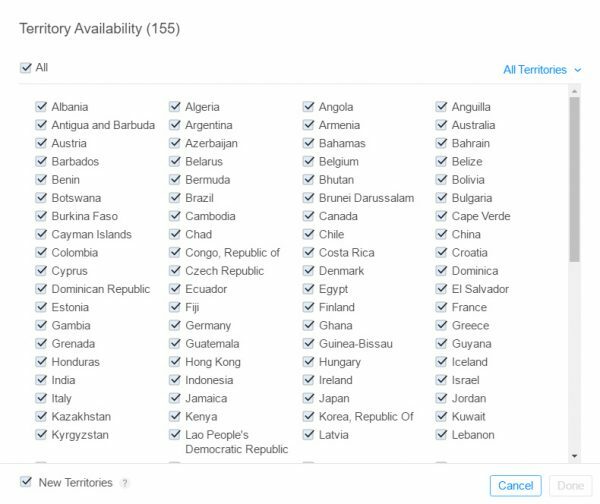 In Availability, by default all territories are selected, but you can select the countries where your app will be available. 10. Click the Prepare for Submit tab. 11. In Version Information, first add the screenshots of your app. Choose the device type and drag your images for each format. You can use 5.5-inch display for all iPhone display sizes. You can use 12.9-inch display for all iPad display sizes. – Marketing URL (optional): a link where users can find more information about the app. 13. Click + next to Build in order to upload your updated build. The + is only available after your compiled app has been uploaded to your iTunes Connect account from Xcode. 14. Select your build and click Done. – Upload your app’s icon (This icon will appear on the App Store, it must be in JPG or PNG format, 1024×1024, at least 72 DPI, RGB colors, not contain layers or rounded corners, and can’t contain alpha channels or transparencies). – Edit the Rating of your app and select how often each content description appears in your app. – Enter the Copyright: The person or entity that owns the exclusive rights to your app, preceded by the year the rights were obtained (for example, “2017 Rocket App Builder”). – (Optional) The Trade Representative Contact Information. You can provide additional information that will be displayed with your app on the Korean App Store. This information will only appear on the Korean App Store. – (Optional) Routing App Coverage File. Specify the geographic regions supported by your app. The file must be in the .geojson format. 16. In App Review Information, enter your contact info where Apple can contact you with issues regarding the review process. This information is not visible to your app users. If your app integrates a “My Account” tab, you have to provide a user Demo Account to be able to connect to your app. 17. In Version Release, select Automatically release this version. 18. Click Submit for Review. 19. In Export Compliance and Content Rights, select No. In Advertising Identifier, select No if you have not added AdMob ads and click Submit. Otherwise, if you have added AdMob ads, select Yes, select the following and click Submit. How to Publish Android Apps? How to publish manually iOS apps?